I love these UTV Inc nerfs. They really helped to keep trees from getting in front of the rear tire. 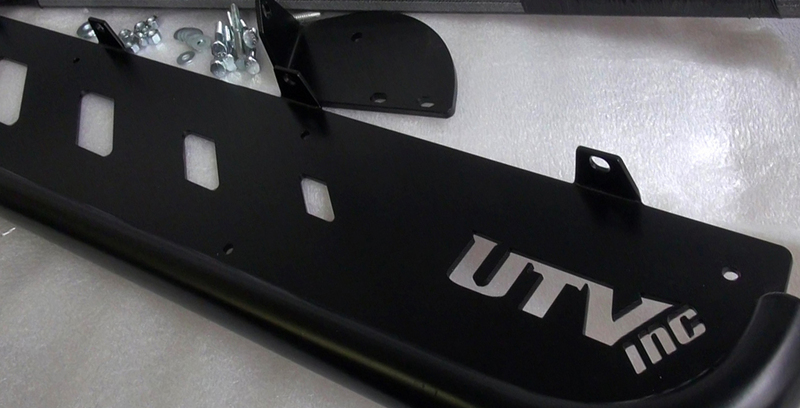 They also look great, and like everything UTV Inc makes their exceptionally well-made. As part of my Project GNCC Championship, where I race tested the Polaris RZR XP 900 equipped with a few specially chosen products, this review is all about a set of UTV Inc nerf bars that saved me from several would-be-situations. They’re made from 1 ¼” .095 Mild Steal and 3/16” mild steel plate. I went ahead and included them to the build solely for their ability to block trees from getting in front of my rear tires in the tight wooded sections. Their added cool looks were just a bonus. 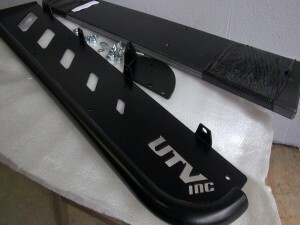 You’ll also want to spring for a pair of UTV Inc’s nerf bar UHMW Sliders. With this the complete under body of the machine is coated in slippery heavy duty 3/8” plastic. You really need to click to the UTV Inc site to fully understand what kind of company this is. I promise you’ll be amazed at the projects they’ve created and the extent of innovative and pure quality that they’ve put into their product lineup. These UTV Inc nerfs are one of my favorite bolt on products. Check out the video above for a better look at these nerfs as well as a step by step guide to their installation.